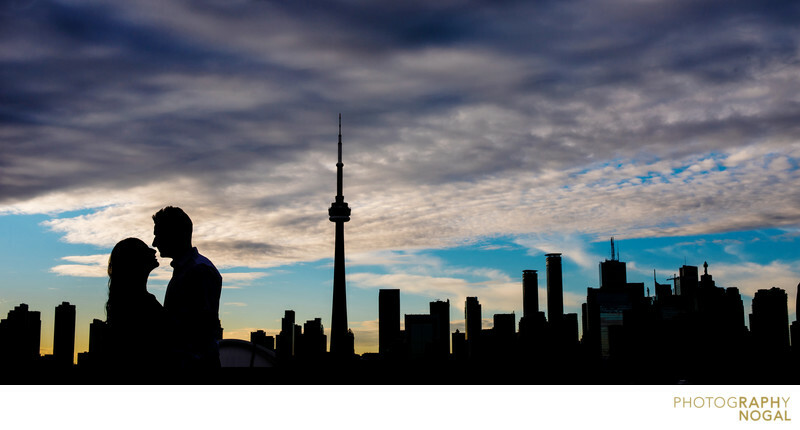 Silhouette of engaged couple during their engagement shoot session, against Toronto's beautiful skyline during sunset. For this image I exposed for the sky and clouds, which make the skyline go to black. I placed the couple on one side and the CN Tower, centred. Location: Toronto Islands, Ontario, Canada.